First off, what the hell was wrong with the effects of this film? In this day and age, seeing how Marvel superhero films pull off such graphical masterpieces, you’d come to expect a certain level of excellence but for some reason, it felt like this film had a 2010 feel to it. 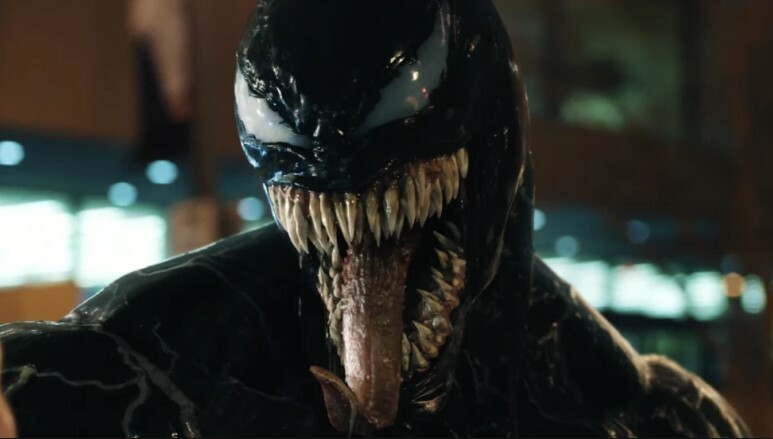 Heck, even some films 5-10 years ago have probably looked better than Venom. The CGI in this film could really use some work as Hardy looked very awkward transitioning from Brock to Venom, it was painful to watch. For a film like this that demands heavy CGI work, it definitely could have been done better. Prior to the film, I saw some awkward and hilariously shaped Venom cosplayers and I kept thinking to myself as to why the proportions were whack. After watching the film, I’d say they looked very accurate. Second was that the plot was all over the place. I’m usually not one to nitpick about plot holes and inconsistencies but this movie had a chock full of it that I didn’t even exert effort to “think” while watching the film. If you’re in the mood for a “turn off brain and watch” type of movie, this is the perfect movie for you, and that’s not necessarily such a good thing in this context. Third, the mid and post credits usually get you excited for the next movie, and it absolutely does the trick here. What they don’t tell you is that the post credits scene is actually the best part of the film. How bad does the film have to be to have the post credits be the best part about it? If it hasn’t made sense yet, the post credit scene is awesome, probably awesome enough to warrant a rewatch of the film. Venom is pretty messed up, but it isn’t all bad. The movie does have its moments, and despite the forced comedy and cringey acting, Tom Hardy actually does a great job at portraying Eddie Brock. Sure I probably would have not imagined Hardy in this role, but he was probably a victim of circumstance in this one and did the best he could, and that alone is admirable. There were also a couple of instances that made me genuinely chuckle, but those were very few and far in between, so I really appreciated the times when the movie actually turned my frown into a smile even if it were just for a few scenes. As with almost all Marvel films, you can expect Stan Lee to make an appearance and that holds true with Venom as well. As you watch the film, you’ll find it very hard to predict where Stan Lee will make his presence felt and with Venom, he appears in the most unlikely of places and for what it’s worth, his cameo was pretty awesome. Overall, Venom made me rage simply due to the fact that I had high hopes for the film. I wanted to like it, and despite the rain and the traffic, I ventured forth to catch the screening only to leave supremely disappointed at what it turned out to be. If anything, I’m hoping for a sequel not because I liked the film, but because it badly needs redemption. 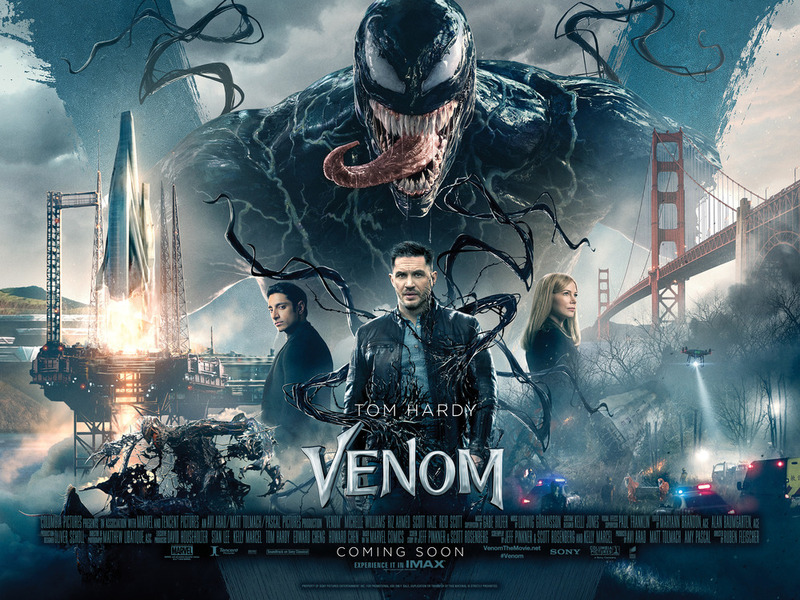 Catch Venom (or not) and let me know if you can change my mind about it as it opens in cinemas on October 5 (that’s today), courtesy of Columbia Pictures!